Green Building increases the efficiency with which buildings and their sites use energy, water, and materials. As a national leader in the construction of green multifamily housing, we have dedicated significant company resources to creating innovative solutions for both our clients and for our own operations. 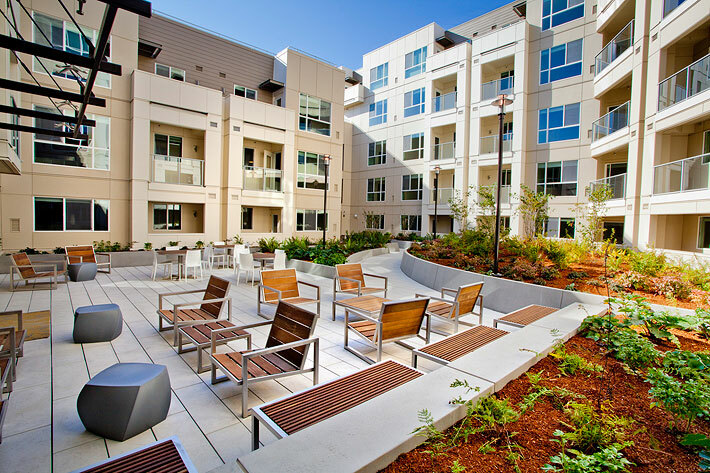 We build more LEED certified, wood-frame, multi-family housing projects in the Northwest than all other contractors and our dedicated group of 36 LEED Accredited Professionals understands the importance of the cost/benefit balance. In addition to our track record with LEED, we have experience working with energy conservation standards such as the 2030 Challenge and Passivhaus. As a result of this focus on energy efficient construction practices and prior project successes, WALSH has produced buildings that attain the desired level of sustainable certification and are also delivering savings to the owner and end users. Beginning well before the creation of the LEED and other green certification rating systems, WALSH was working with clients and their design teams to incorporate green measures into projects. These included alternative insulation materials and methods, green roofs, low-emitting materials, and highly efficient mechanical systems. With the advent of Green Certification Programs, we have worked in an integrated manner with project teams to maximize incorporation of green measures into all of our projects. To accomplish this in a productive, cost-effective manner requires that all team members work effectively within a highly collaborative process.